upon my recent visit to london i waited for an unusually long time at the passport control. when, after almost two hours, i finally stepped up to the border officer, he asked the usual questions - my reason for coming to london, how long i was planning to stay, what i did for a living, etc. upon hearing that i teach english literature, he wanted to know which period and which authors. 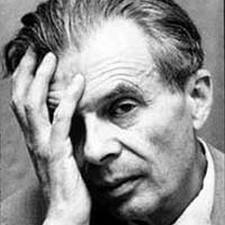 since aldous huxley is my most immediate field of expertise, i mentioned him first. that was enough to trigger his enthusiasm, so we started chatting about huxley for some good ten minutes. the officer mentioned 'brave new world revisited', a not very famous piece of prose written in the 1950s, and said he was fascinated by the ideas in it. to be perfectly honest, i wasn't completely sure which ideas huxley expounded in that essay (because he covered similar topics in various discursive writings from that period), but then the officer became more concrete. he also mentioned julian huxley, and i mentioned t. h. huxley, the famous grandfather, or 'darwin's bulldog', as he was called, but the officer had not heard about him. i even told him to go to the natural hisotry museum and see t. h.'s statue in the cafeteria. what to say in conclusion? that in the uk one can chat with a border policeman about the topics one had written a doctoral dissertation on, and that one can even learn a few things from that very policeman. if only there were more countries like the uk.